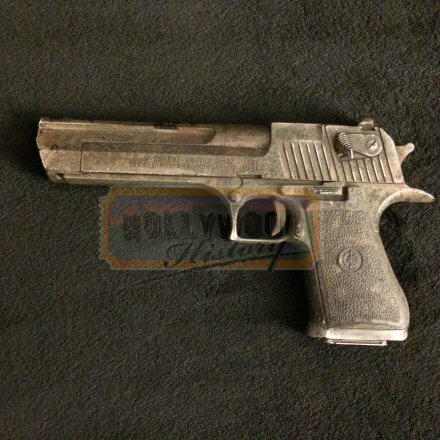 Air Soft Desert Eagle [TRDE] - $450.00 : Hollywood History Online, Discover the Magic and Bring Hollywood Home! A factory worker, Douglas Quaid, begins to suspect that he is a spy after visiting Rekall, a company that provides its clients with implanted fake memories of a life they would like to have led, goes wrong and he finds himself on the run. 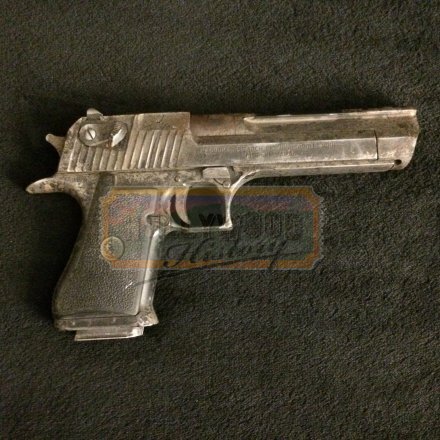 From the 2012 remake, Total Recall, This is an airsoft style desert eagle handgun used by background characters. 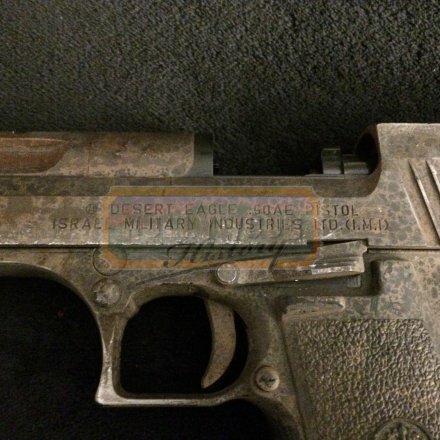 This airsoft gun operates just as a live fire weapon would work along with a magazine that can be released from the handle. 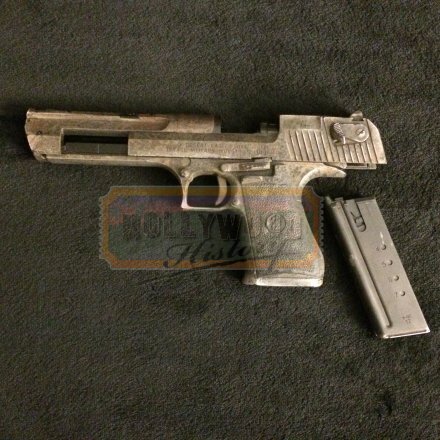 Weapons such as this were used to avoid any dangers of a live fire weapon on set.